For over one hundred years, the Betty Crocker brand has been synonymous with quality cake mixes, frostings, cookie mixes and instant foods. These items are very popular with consumers because they are tasty and easy to use. Furthermore, they make baking and cooking more fun because they have a wide range of items that suit almost anyone’s taste. One way that General Mills spreads the word about these yummy Betty Crocker foods is to issue coupons to consumers. These coupons can save consumers as much as 40% off the regular retail price of a Betty Crocker food item. They can be found in many ways online and locally. As a result, consumers who regularly use Betty Crocker food items can easily save as much as 40% by finding these coupons. Betty Crocker’s history is interesting to anyone who is a fan of good food. Contrary to popular belief, Betty Crocker is a fictional character. She was dreamed up in 1921 by a businesswoman named Marjorie Child Husted. She worked with the Washburn Crosby Company in 1921 to give Betty a human form. Betty’s image was first used to sell flour and other baking goods made by the company now known as General Mills. By the 1930’s, the firm already began selling cake mixes and Bisquick with her image on them. By World War II, the image and the company merged to offer consumers a full line of cake mixes, frostings and cookie mixes. The 1950’s and 1960’s saw the company add brownie mixes and new cake mix flavors. The 1970’s and 1980’s saw the company add Hamburger Helper, fruit snacks and fruit-roll-ups to the fold. Today, General Mills still offers these and other fine foods under the Betty Crocker name. 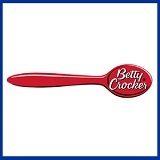 General Mills offers Betty Crocker coupons through their official website. Consumers who want to use these coupons must first sign up using an e-mail address. Once they sign up, consumers can find coupons that can save them as much as 40% off the retail price of many Betty Crocker items. Some of these coupons include a 50 cent coupon good for any one Betty Crocker brownie mix item. Other coupons have included a 40 cent coupon that is good towards the purchase of one box of any Betty Crocker cake mix. The best part about this site is that you don’t need to search your e-mail inbox for the coupons. The coupons can be printed right off the website. Look in your local mail. General Mills offers coupons through their national postal ad campaigns. These coupons are often included in your weekly supermarket ads. They offer savings on instant food products, cake mixes and other baking items. Recent examples have included a coupon that was good for 50 cents off any one tub of Betty Crocker frosting as well as a 40 cent coupon that was good for any one box of instant au gratin potatoes. Finally, look in your local Sunday newspaper. General Mills also offers coupons nationally as part of the ads one finds in a local Sunday newspaper. These coupons are generally good for instant food products and baking products. Some of the recent coupons that were offered included 50 cents off 2 boxes of Hamburger Helper and 75 cents off the price of a bag of Bisquick baking mix.